A Startling Effect - Grimaldi the Clown was known for innovative performances. 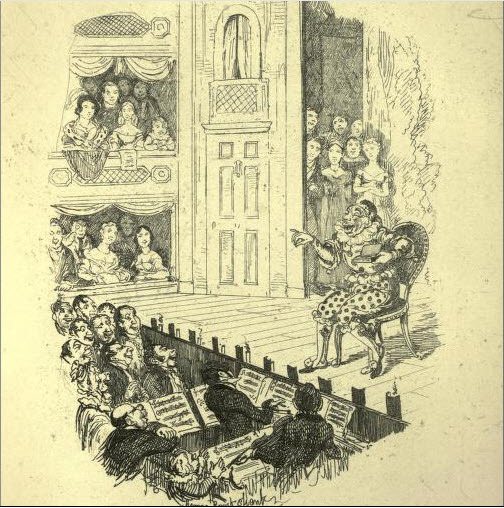 The Memoirs of Joseph Grimaldi (published in 1838) is a biography of Joseph Grimaldi a popular clown and pantomime performer in England (18 December 1778 � 31 May 1837. The original work was dictated by Grimaldi himself, but the writing was deemed unworthy of punlication by the publishers. Several ghostwriters were commissioned to improve the work and the book was finally assigned to Dickens who edited the biography and also rewrote extensive sections, under the pen name Boz. . 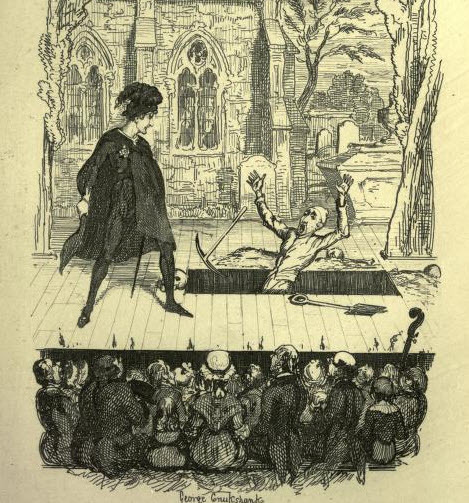 The Memoirs of Joseph Grimaldi were illustrated by George Cruikshank. 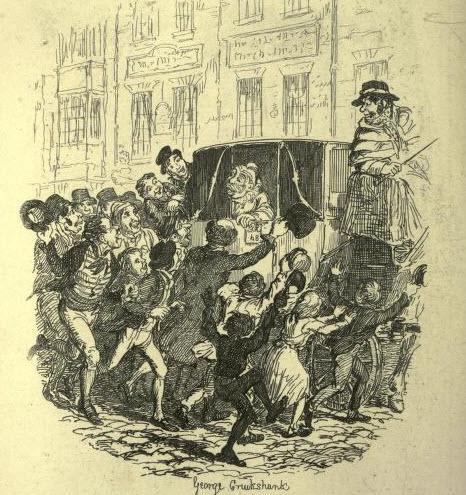 It is unclear how faithful Dickens' version was to the original manuscript. It is not known whether the author embellished the original autobiography with fictional elements since the Grimaldi manuscript has been lost.